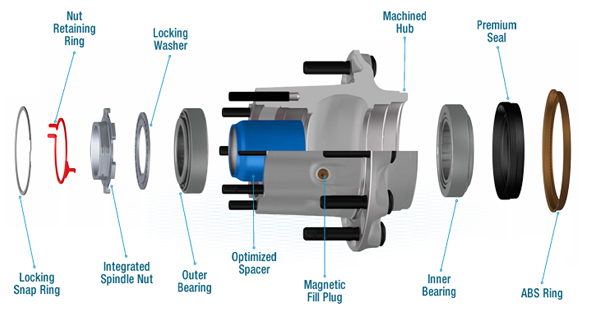 The Spicer® LMS™ hub system controls bearing adjustment and eliminates installation variables that cause excessive end play and lead to premature wheel seal failures. Combining proven seal technology with precision-manufacturered bearing spacers and special tolerance bearings, our hub system is your best defense against costly replacements and downtime. 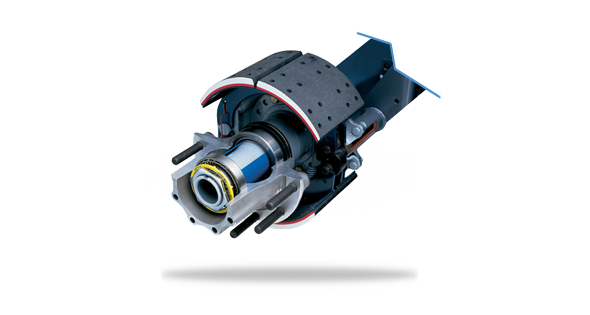 We offer a variety of hub configurations for truck, tractor, and trailer standard spindles with steer axle ratings of up to 14,600 lbs., drive axle ratings of 46,000 lbs., and 22,000 lbs. for trailers. Calculate your savings with Spicer® drivetrain systems.